This soft shell jacket is just right for those brisk days between summer and winter. 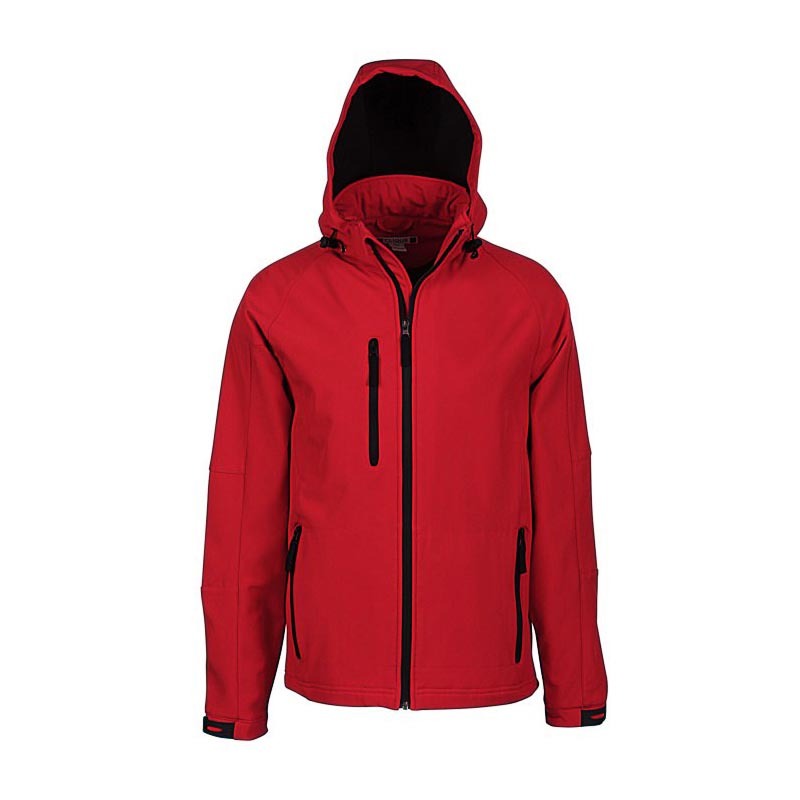 Full-zip front, zip-off adjustable hood, drop tail hem, and adjustable velcro keep this jacket close to avoid heat escape. The special fabric is breathable and waterproof, leaving you dry inside and out.